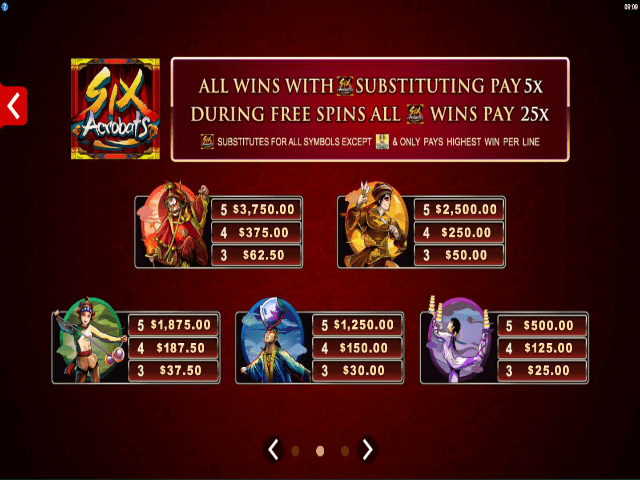 Six Acrobats is a five-reel, nine-payline slot developed by Microgaming with a Chinese circus theme. Playable from 9p a spin on all devices, the game features a wild symbol that applies a 5x multiplier to all wins and a scatter symbol that can give you up to 25 free spins. Intrigued to find out more? Then jump through our Six Acrobats slot review. Play Six Acrobats for Real Money! 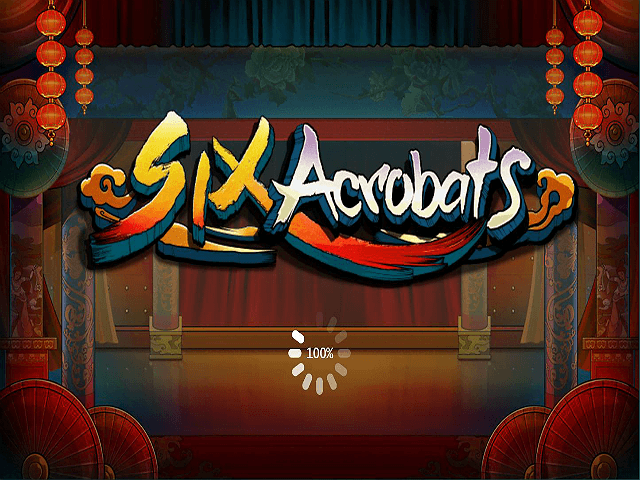 This Microgaming online slot machine is set in a Chinese circus where six acrobats want to display their unique skills. The card symbols are drawn in an Oriental style and the lanterns in the background and the dark soundtrack add to the theme. Oriental themes are popular among online slot developers and it’s something that Microgaming has done before in titles such as Karate Pig and Dragon Dance. 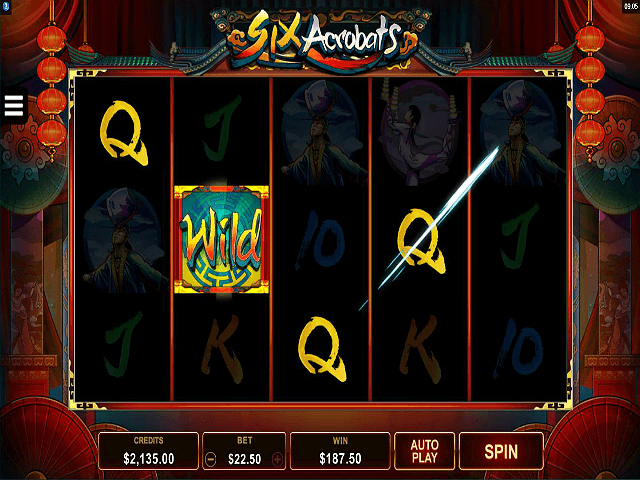 Six Acrobats was released in the summer of 2017 and can already be found in many Microgaming online casinos. Despite being called Six Acrobats, only five of them actually appear in the game. The acrobats, including a knife thrower and a juggler, represent the high-value symbols in the game, while the low-value symbols are represented by the cards from 10 to A. The red fire-eating acrobat is the most lucrative symbol on the board, paying out 1,500 times your line bet for landing five on a payline. With only nine paylines, this slot has a quite a high level of volatility but it still has a fairly average return to player (RTP) of around 96%. Players choose their total bet starting from 9p going up to £22.50, with plenty of choice in between. There’s also a handy auto-play feature, whereby you can set up to 100 spins to run automatically. There are two special symbols in Six Acrobats. First, look out for the wild symbol (the game logo) as this applies a 5x multiplier every time it forms part of a winning combination during the base game. Then there’s the scatter symbol, represented by Guanyin, the Golden Queen. Landing three or more of these anywhere on the reels activates the free spins feature. 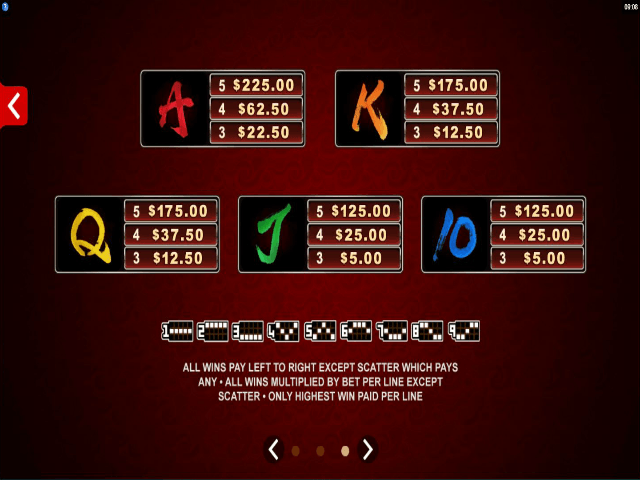 You’ll receive 15, 20 or 25 free spins depending on whether three, four or five scatters triggered the feature. Guanyin’s work doesn’t end there, though. Every time she appears during the feature, you’ll get one additional free spin. Moreover, all wins benefit from a 5x multiplier – but when the wild is part of a winning combination during free spins, you get a massive 25x multiplier. That means you can win as much as 4,333 times your stake during the free spins feature – that’s £97,500 if you’re playing at the maximum bet level. 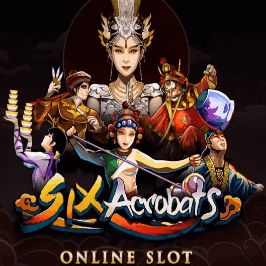 Being quite a high-variance slot, it can take a while to unlock the features on offer in the Six Acrobats online slot, but it’s worth the wait for that juicy 25x multiplier in the free spins feature. Share this Six Acrobats Review today! If you like Six Acrobats, you'll love these slot titles too!